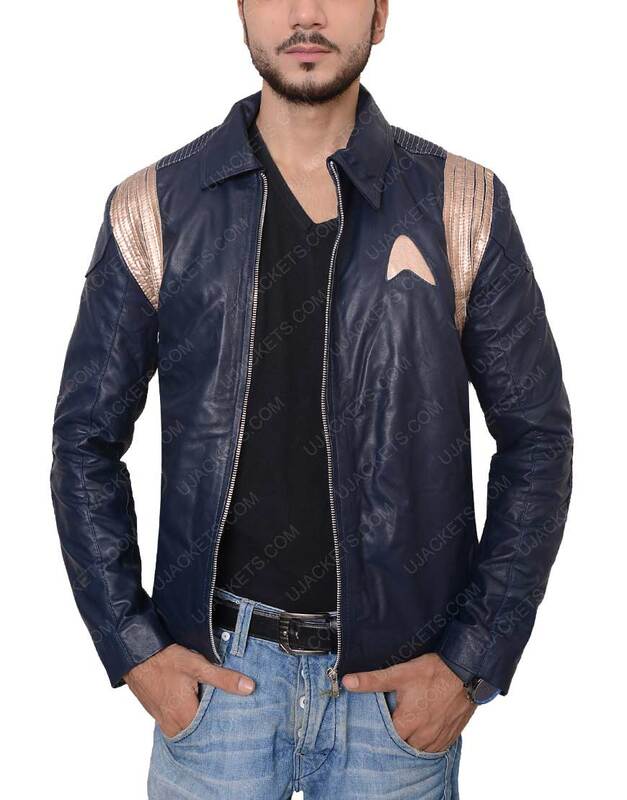 Star Trek Discovery Jacket inspired from the American Latest TV Series “Star Trek: Discovery” who is lead characters from Hollywood one of the famous star named as Michelle Yeoh belong to the American and Chinese Movies playing in first time ever in Hollywood Television as STAR TREK. This kind of jacket uniforms in style. 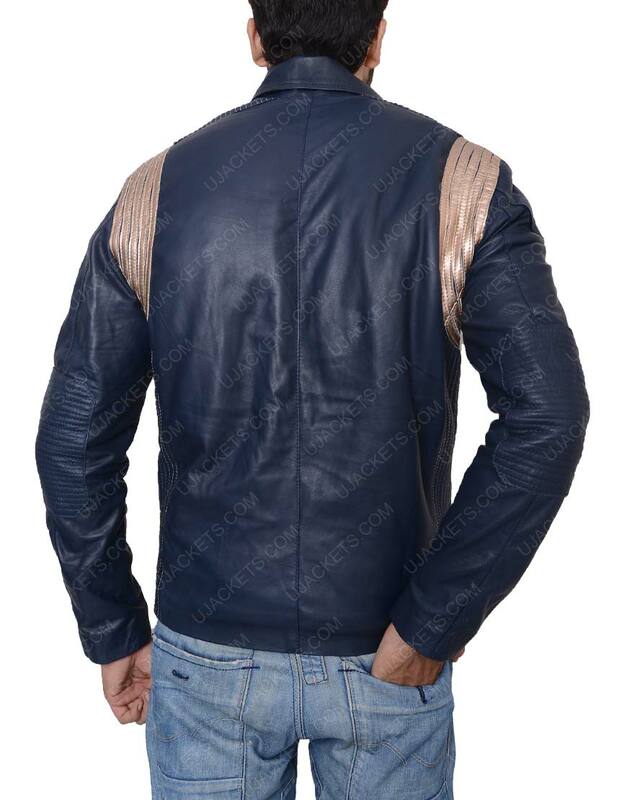 The jacket is commonly uses form of space worships mostly but this jacket uniform wears for all men and women in all sizes. This unique kind of jacket uniform is available in all sizes for all men and women in our online store. Star Trek Discovery Uniforms are material of polyester Mixed With Cotton with prestige style. 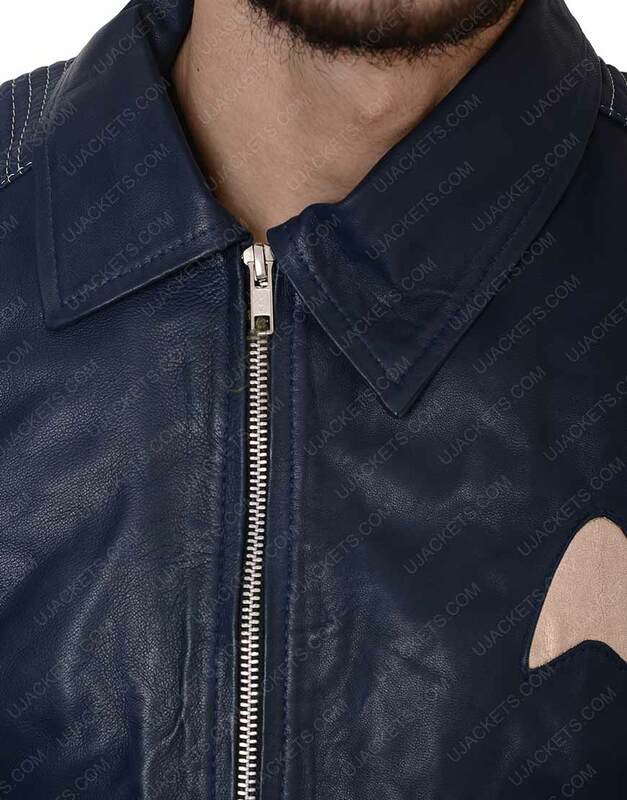 Star Trek Jackets are have flawless viscose lining inside the jacket with snap-tab stand collar. 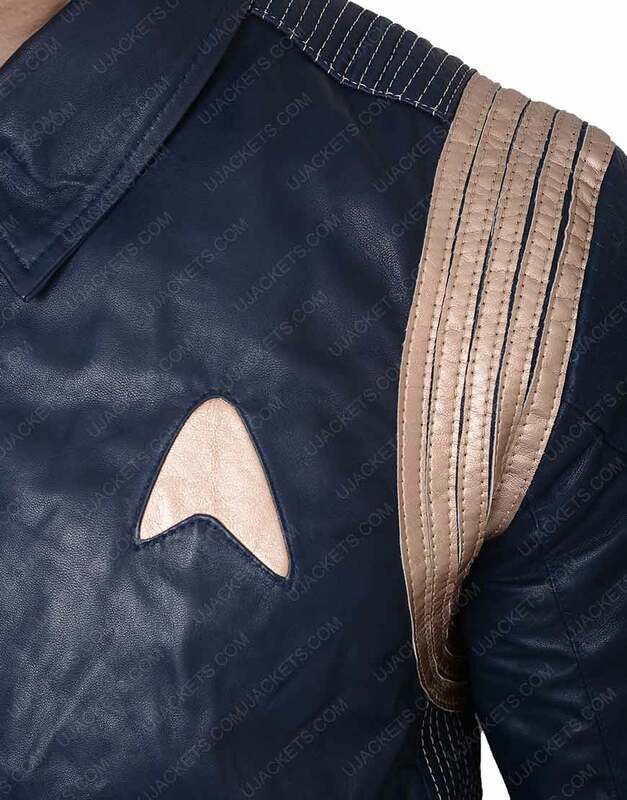 Star Trek Discovery jacket is in with front closure with snap-tab cuffs in full sleeves. Beautiful Jacket from the Future! Beautiful Jacket from the Future! Silver and Blue shades successfully wraps up for this Star Trek Discovery Jacket. The faux leather was great and it was very well maintained for the outfit full resonance preserve. Highly recommended Jacket that portrays all-inclusive patterning to the exact uniform worn by the character. Minute adjustments I got via mail chat mini-conference: Got the sleeves to be ending on the wrists rather at the mid hand position. Got Epaulets fixed on the shoulders. Made a logo for one of the sleeves as well. Good buying from here!!! Loved the responsive team coordination to get my order done within the time frame they told. Most influencing jacket! The jacket is a little bit lighter (in weight) than i expected & it works well as a windbreaker but the only issue is that it has no pockets which i wish to have! Although on cooler days i worn it and looks amazing on me also most of my buddies got covetous while sarcastically saying that its looking so cheap & blah blah, i never mind. All i think it is my best outfit ever and thank you guys for the good deal! Pretty excited, cannot wait, fingers crossed! Pretty excited, cannot wait, fingers crossed! 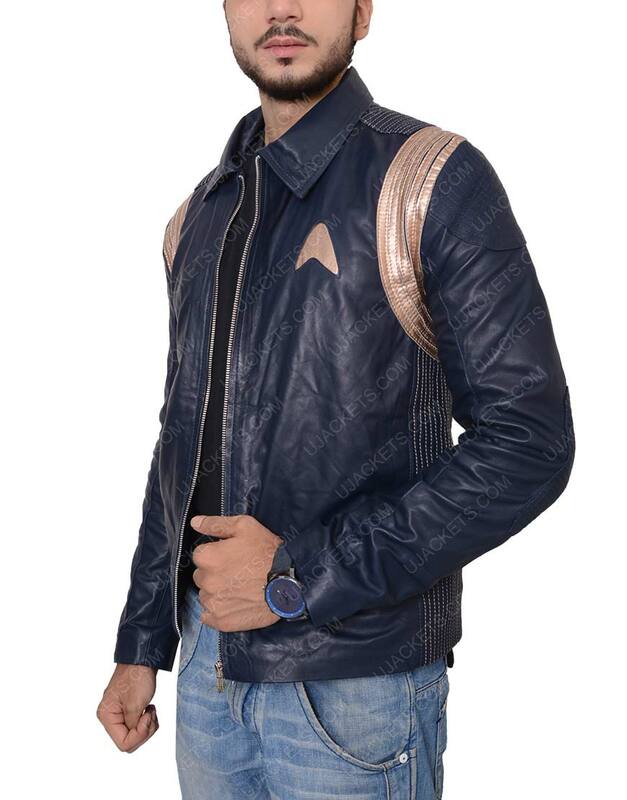 I have not received this outfit yet, but I am hoping for a quality jacket just like one of my friends did 2 days ago, who suggested me to buy this outerwear featuring the best series ever Star trek with the new attraction Discovery' pretty excited, cannot wait, fingers crossed! I had a good experience, overall Its my first experience with online jackets store, it was nice perhaps the quality apparel are being offered here. I have always been a great fan of Star Trek and since he Discovery series is all set to be released soon, I am very excited to continue the sequels. The layers of the jacket is simply Flawless, the silver effect is absolute sign of perfection. thank you for delivering me what I actually expected from here.